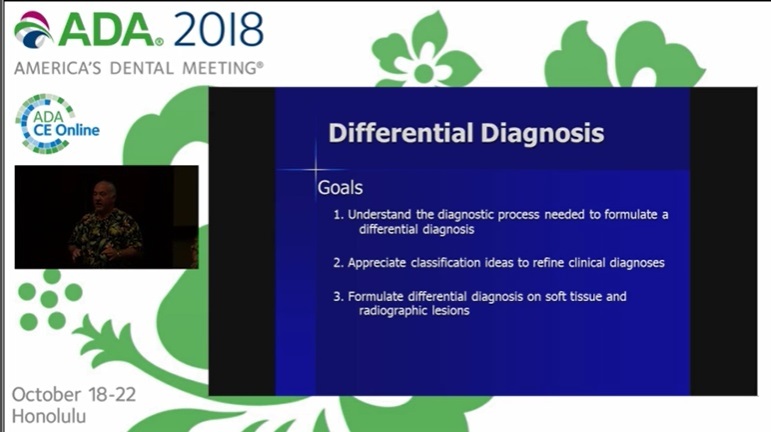 Development of a working differential diagnosis is one of the most difficult tasks in the diagnostic sequence. This course will cover pathology terminology, provide clinical case presentations focusing on a variety of pathological conditions, and review the use of an audience response polling system to help you in the decision-making process. You will leave this course with a fresh perspective of oral pathology and information needed to identify and diagnose oral lesions.